In a little more than a decade, Joost Grootens has become known as one of the most strikingly original designers of his generation. 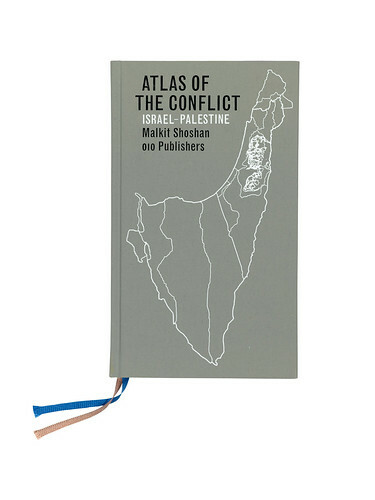 His Amsterdam-based studio is responsible for the design of more than 100 books, but his reputation rests on a handful of extraordinary atlases, the most recent of which is Malkit Shoshan’s Atlas of the Conflict: Israel-Palestine. Though many of Grootens’ productions, such as his book about jewellery designer Ted Noten and an H. N. Werkman monograph, employ detailed indexes, diagrams, maps and other graphic devices, it’s a collection of five atlases for 010 that best demonstrates the intensive approach of his studio. 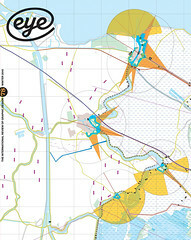 The Atlas of the Conflict was preceded by the Limes Atlas and the Metropolitan World Atlas (both in 2005), the Vinex Atlas (2008) and the Atlas Nieuwe Hollandse Waterlinie (2009), also published in English as Atlas of the New Dutch Water Defence Line. The atlases take up a disproportionate amount of the studio’s time – Grootens likens them to ‘Formula 1 racing cars’ in comparison to the ‘family hatchbacks’ of his other work – but they are far from flashy. Grootens’ atlases have a sobriety and typographic sensitivity that sets them apart from both conventional map layout and contemporary Dutch design, in which he is something of an outsider. Grootens was born in Breda in 1971, and grew up in the small town of Oss in the south of Holland. As a teenager Grootens had ambitions to be a painter. When he was sixteen, he sent a fan letter to Willem De Kooning. ‘I was from the provinces,’ he says. ‘Being creative meant being an artist. I never realised there were such things as designers.’ He went to Amsterdam’s Gerrit Rietveld Academy to study fine art, but after just a few days there he stopped painting and transferred to architectural design. But then, during five years of study at the Rietveld, Grootens slowly realised that ‘the representation of architecture itself interested me more than buildings’. As part of his course, he spent nine months as an intern in the London office of Chora, working on research into ‘urban dynamics’, and struck up a friendship with principal Raoul Bunschoten and his wife, architectural photographer Hélène Binet, best known for her photographs of work by Peter Zumthor and Zaha Hadid. This made a big impression on Grootens, providing an environment in which he encountered ‘both ends of architectural representation’. ‘Hadid found the perfect photographer in Binet,’ he says, ‘bringing the photographs of her buildings back to the language of her sketches. The buildings are almost like the vehicle for Hélène to make the photographs look like her original sketches.’ Grootens is currently finishing the design of a monograph about Binet for publisher Phaidon. The other influencing factor was that the mid-1990s were a boom time for Dutch design and architecture: ‘The word Dutch really meant something then. It was very easy to get commissions.’ His first projects included office interiors, a women’s prison courtyard and collaborations with architects MVRDV on the Dutch pavilion for Expo 2000 in Hanover. For Grootens, there was little incentive to do a masters when he could learn through client work. If his unusual career trajectory – from art to multimedia via architecture and eventually to book design – partially explains the sheer originality of Grootens’ vision, it’s his understanding of content that determines the form, look and feel of each project. The layered, expressive styles of the decade in which he graduated have little appeal for him, nor is he in thrall to traditional book design. He admires the ‘pleasant lightness’ of Cornel Windlin’s photography books, the architectural monographs of Reynoud Homan and Lars Müller’s quest to make what he calls a ‘visual reader’. By reading the small print he found exact information on the use of colours in the older maps. Though Grootens admits that it would be impossible to go back to printing in twelve colours: ‘My publishers would kill me!’ However this close examination of old maps and atlases inspired Grootens to start using different inks, including fluorescent and metallic, and choose his special colours carefully in relation to the paper for each book. 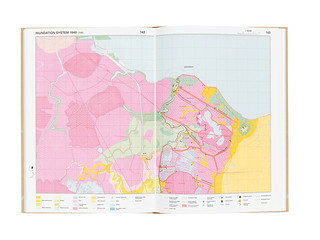 For instance, the maps of the Limes Atlas deal with the history of the Dutch landscape, the colours showing the transition between water to swamp to polder, from blue to green. Grootens explains: ‘I made a family of patterns with blue and green dots that illustrate this transition. And then there was the limes itself, the Northern border of the Roman empire, and in later times the invisible remains of the buildings, ships, etc., as most of these were sunken into the land / swamp […] to give this a special presence on the page I used a metallic ink, gold. Flipping the page the gold becomes more visible or not. It is as if you turn it on or off. Grootens usually makes one or two 70 x 100cm test prints, on which he can put many variations of patterns and ink mixes, trying out different papers. He likes to use thin paper, too. Where some designers fret about show-through, Grootens waxes lyrical about a transparency that makes the book’s structural system visible and tangible, with elements that ‘shimmer through on the next page.’ He designs his books as physical interfaces, always considering the way his special inks reflect light back to the reader. For Limes Atlas he wanted ‘a paper that was a bit rough’ to make the metallic ink look like galvanised steel, and chose Eurobulk Matt, which he also used for the Metropolitan World Atlas. For Atlas of the Conflict he tested seven or eight different paper stocks before settling on Gardapat Kiara for the maps and diagrams and Royal Print Matt for the lexicon at the end. As a graphic designer, Grootens is self-taught, though hardly ‘feral’ (to use Steven Heller’s term). ‘I was learning while doing,’ he says. 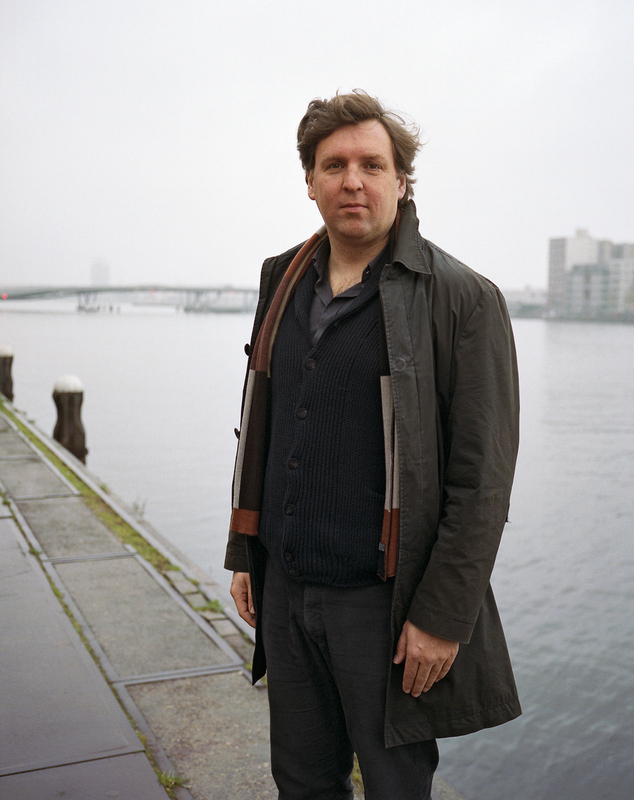 ‘The first few years of doing books was my training, being very insecure about everything.’ However he credits Hans Oldewarris and Peter de Winter of publishers 010 with really teaching him the trade, and regards each book as part of a continuous educational process: ‘I got to work with a lot of great authors. 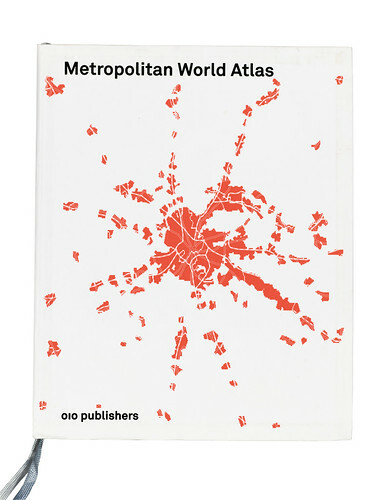 I was also learning about typography, inks, all those things …’ Each atlas, he points out, is a three-way collaboration with the printers (Lecturis) and 010. However Grootens also teaches one day a week, and has taught regularly for the past thirteen years – eight of them at Design Academy Eindhoven, where he was recently appointed head of the new department of Information Design at Design Academy Eindhoven’s Master Course. The Atlas of the Conflict has had a lengthy gestation period, and publication was delayed when Grootens made a radical change to its format. After a year’s work on the project he went on holiday and chanced upon an old Hachette Guide Bleu. This inspired him to make the atlas smaller. He compares this approach to the non-linear literature of Julian Barnes’s A History of the World in 10½ Chapters or David Mitchell’s Ghostwritten or Cloud Atlas, which show the same events from different viewpoints. He sometimes proposes that the books he’s commissioned to design should be something other than a book – a website and a print-on-demand publication, for example. ‘I’m the first to question whether or not to make it a book.’ But so far that has never happened; his clients want books. And like many Dutch practitioners past and present, Grootens has found a graphic medium that demands a critical dialogue between client and designer: ‘I have to question my author about their methods. I’m not into the content all the time but I can talk about the methodology. It’s quite a vulnerable position, because I have to believe the author, that whatever they are saying is true,’ he says. He looks forward to a time when manual tasks, such as data visualisation and visual indexes could be done by computers running open-source software: ‘It is ridiculous that we are so dependent on Adobe!’ Typically, he doesn’t want to do this to save labour, but in order to find new variations and new ways of presenting the data.